Complying with EN 12254 and EN 60825-4 safety standards, our barriers are available in a range of styles to suit your application requirements including movable or portable barriers. Laser Physics range of barriers are an easy way to enclose your laser area in virtually any configuration from standard or custom panels. Call our laser containment specialist to discuss your laser safety needs, call on +44 (0) 1829 773155. Developed at Laser Physics' request, the new 5M Flex-Guard Laser Barriers ship conveniently, set up quickly and easily dismantled for storage when not needed. 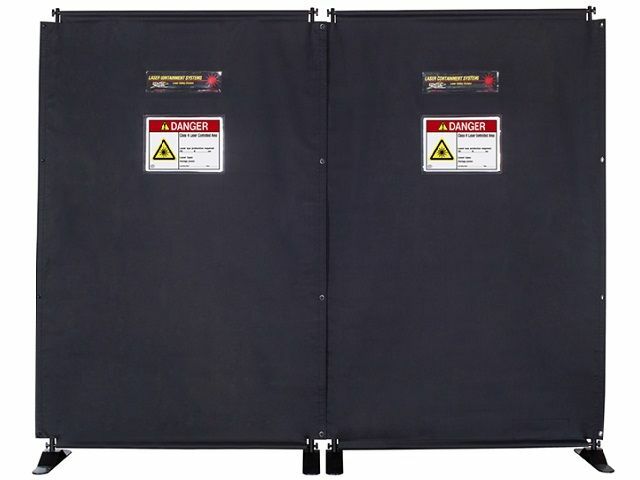 An ideal alternative to installed laser safety curtain systems,EverGuard barrier systems are lightweight and extremely durable. Rated 1200 Watts/cm2 for 3 minutes EverGuard barriers provide outstanding protection for all lasers. 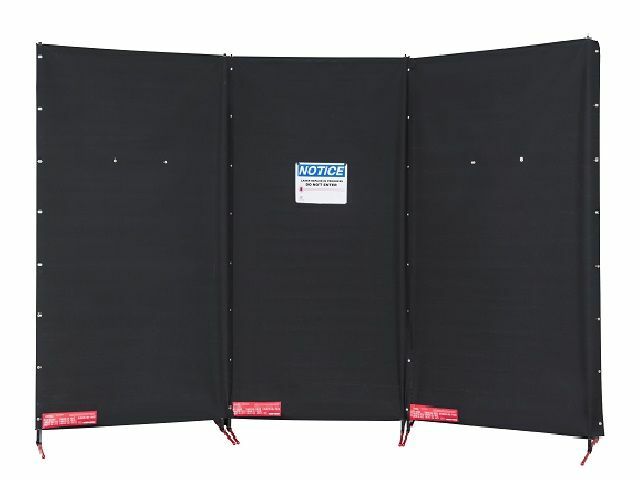 Stand alone barriers in lightweight FlexGuard material that can be connected to one another in a “daisy chain fashion” with exclusive light-blocker hinges. 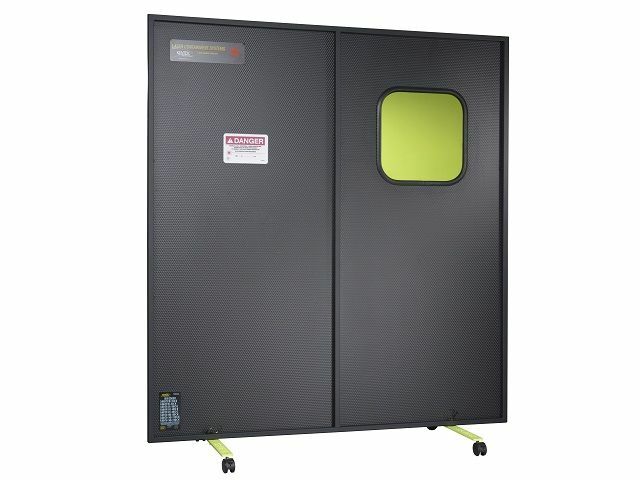 SERVICERIGHT portable laser safety barrier has been designed with the service engineer in mind.